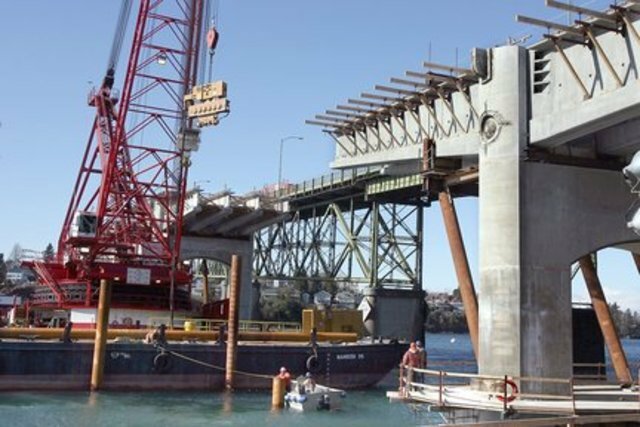 The concrete span that connects Manette to West Bremerton turns five years old today. The $60.6 million span, completed after years of planning and construction, opened to much fanfare on Nov. 10, 2011. I’ll often ask Bremertonians which bridge they prefer — that classic green steel truss or the far more functional new span? Closer to the new bridge’s opening, the vote was mixed. However, has time has wore on, the city’s residents increasingly prefer the new bridge. Particularly popular its wide pedestrian walkway. 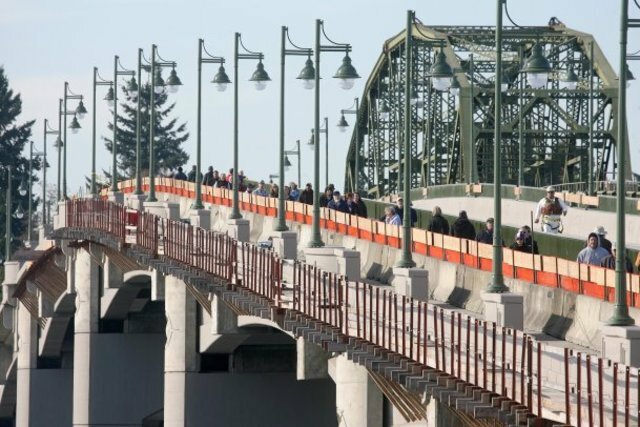 Walkers are crossing it constantly, taking in views of Bremerton and the Port Washington Narrows — especially on a sunny day. 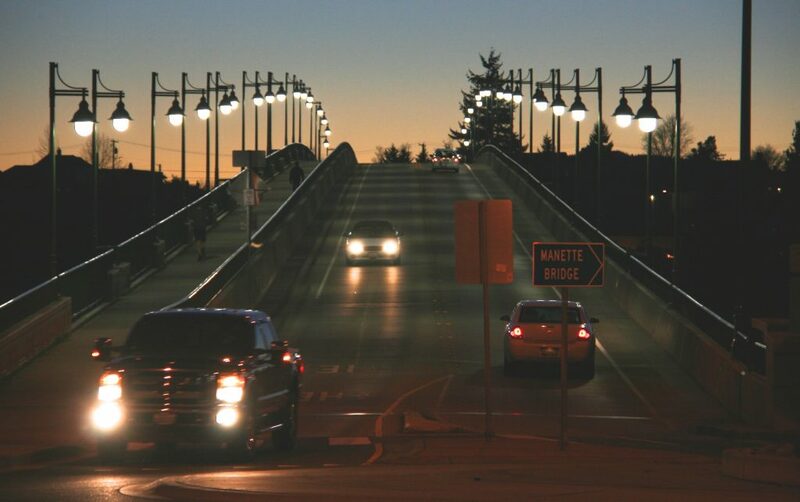 Happy birthday, new Manette Bridge. You’ve got a long way to go to get to 81 years old, the age of the old one, but you’re on your way. Here’s some photos of the bridge over its first half decade. Opening day. The outer railing on the bridge had not been completed. 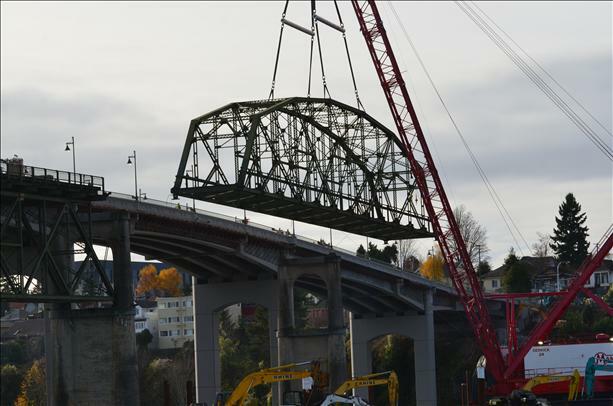 The old bridge’s truss comes down. The company that did the work recycled the old span. Yet some of its steel is still a fence in Manette. 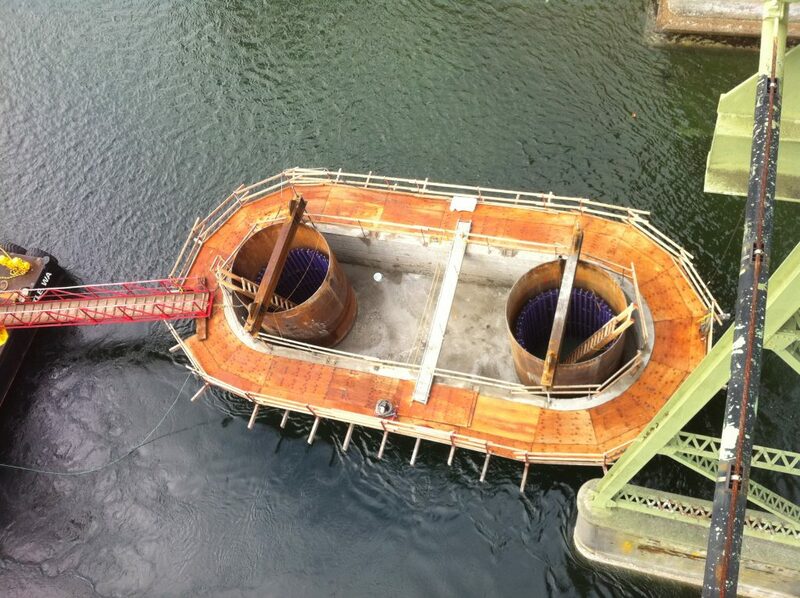 From construction: The bridge’s foundations. That’s how far into the Narrows its foundations of steel and rebar go. The massive tower on the left is completely underwater, where it will be for the test of time. One more photo of the old bridge. If you have photos you’d like to add, send them to josh.farley@kitsapsun.com. Enjoy walking our bridge. However, who do we need to contact about removing the weeds growing up along the sidewalk? Call the public works department at 473-5920. Let them know, I agree, the weeds have been plentiful there.